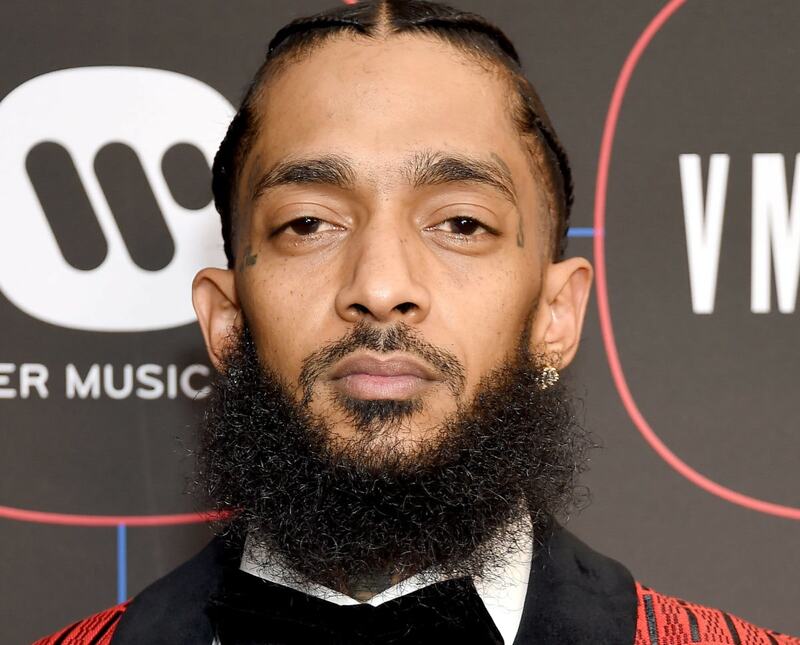 As Nipsey Hussle's family prepare for the homegoing service of the beloved rap star, his mother has taken to social media to share some empowering words of encouragement for those still mourning her son's death. As Nipsey Hussle’s family prepare for the homegoing service of the beloved rap star, his mother, Angelique Smith has taken to social media to share some empowering words of encouragement for those still mourning her son’s death. Angelique Smith wants inquiring minds to know that she has “perfect peace and strength” and “I want to lift you up,” she says in a video shared on Jai Yew’s Facebook page, Complex reports. Most importantly, Smith doesn’t believe we should waste time fearing death. Instead, focus on living a good life and spreading love, just as her son did. “When you walk this earth and you do good deeds for people, and you are loving and kind, those are the things that will show on your face. You will look more beautiful,” Smith says. Her son, born Ermias Joseph Asghedom, “looked healthy, he looked cleaned, he had a glow, he was radiant. And he was so perfect he had a sweet aroma […] he even smelled good,” she explains in the clip. Hussle, 33, was gunned down earlier this month outside his Marathon Clothing Company store in south Los Angeles. The suspected gunman, Eric Ronald Holder Jr., was apprehended after a 48-hour manhunt. He is currently being held on $5 million bond after being charged with murder and attempted murder. He pleaded not guilty at an arraignment last week. Holder is being represented by famed attorney Christopher Darden, best for the O.J. Simpson double-murder case. A public memorial will be held for Nipsey on Thursday at the Staples Center. Complimentary tickets for the event were sold out in less than an hour on Tuesday morning.